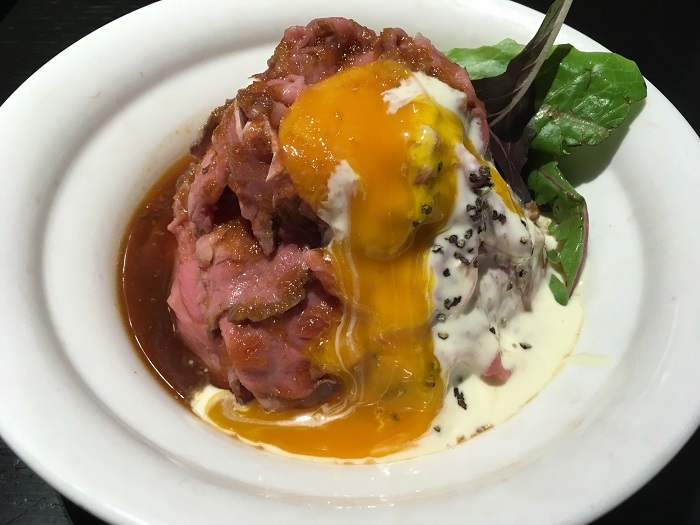 Try a New kind of Beef Bowl at RedRock in Torrance, Los Angeles – JCB International Credit Card CO., LTD. Since the opening of their first location in Kobe, Japan, RedRock has been a very popular restaurant with long lines of eager diners at all location throughout Japan. Their first location in the US just opened in Los Angeles and has already become a fan favorite in Los Angeles as well. Their specialty is beef bowl dishes, well known for their signature medium-rare cooked roast beef bowl (roast beef don). They also offer other bowls including the popular beef steak bowl. The combination of the perfectly cooked beef, slightly sweet sauce and creamy yogurt based sauce is perfection. Adding a raw Jidori egg yolk is strongly recommended to enhance this dish further if you are a fan of runny eggs! RedRock is located in the same mall as the Nijiya Market in Torrance. There can be a long wait, especially on weekends, as this restaurant is quickly becoming popular. Be sure to use your JCB card!